You’ve heard it before: the library isn’t just for books. With only a library card, you can check out movies, music, and more. We’re always trying to expand what exactly that “more” encompasses, creating new collections for everyone to enjoy, and our latest addition is particularly exciting. Dust off your dice, because it’s time for some board games. Gone are the days of merely rotating through Uno, the family copy of Clue that’s missing a few too many pieces, and whichever themed version of Monopoly someone gave you for Christmas once. There are over fifty games you can take home from the library and try out, with hits you might have missed like Apples to Apples and somewhat more niche titles like Bull Moose: The 1912 Election Game. As cool as having board games is, though, the library will never shake its primary identity as a place of books. To foster a little intercollection harmony, here are a few board game highlights and the books that are like them. They’re not so different, after all. 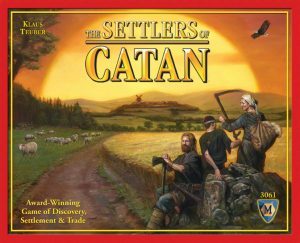 Released in 1995, Catan has quickly risen to modern classic status. The premise appears simple: players build settlements on an island, collect and trade different resources, and build more. Once you find yourself begging the other players for that one last brick you desperately need to complete a road, though, you realize how intense and nuanced the game can be. Books with a theme of exploration and a bit of scheming all echo Catan. Kim Stanley Robinson’s science fiction Red Mars shares this spirit as it follows the struggles to colonize and control Mars. Alternatively, there’s the historical fiction of Annie Proulx’s epic Barkskins, which traces a family of woodcutters who come to America in the late seventeenth century and build an empire out of nothing. Shrewdly trading resources is fun and everything, but some people want more direct confrontation. Enter Small World, a fantasy themed game of conquest. Think Risk, but with orcs, wizards, and dwarves. It’s all about choosing the right combination of these characters and creatures to dominate the map and extend your territory. A trip through our genre fiction sections yields many similar reads, like Charlaine Harris’s Sookie Stackhouse series, replete with vampires, fairies, and even were-panthers. In the same vein, The Autumnlands is a graphic novel about a fantasy world in which all kinds of sentient and civilized animals—owls, dogs, buffalo, etc—battle for livelihood during a time of crisis. Puzzle games offer a more abstract experience, which can be a relaxing change of pace. 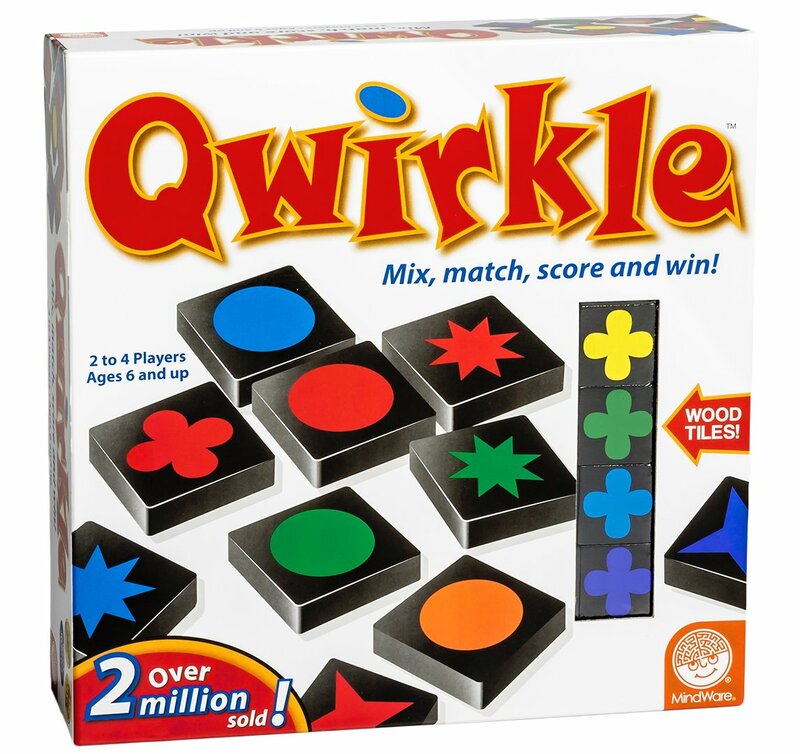 In Qwirkle, players try to string together sequences of tiles with the same color or same shape. It’s easy to start, but can take a brain workout to maximize your potential score, with rewards for being able to anticipate and plan for different twists and turns. Qwirkle is actually quite at home with all of the puzzle-like narratives we have on the shelves. With strokes of post-modern experimentation, most of Haruki Murakami’s novels fit the bill. 1Q84 has an especially interesting and ambitious construction; it follows two different narrators—one living in a parallel world—as their stories near and then entwine in surreal ways. For more, try Zadie Smith’s NW, a tragi-comic novel about four people living in London and the ways different spaces can affect us. 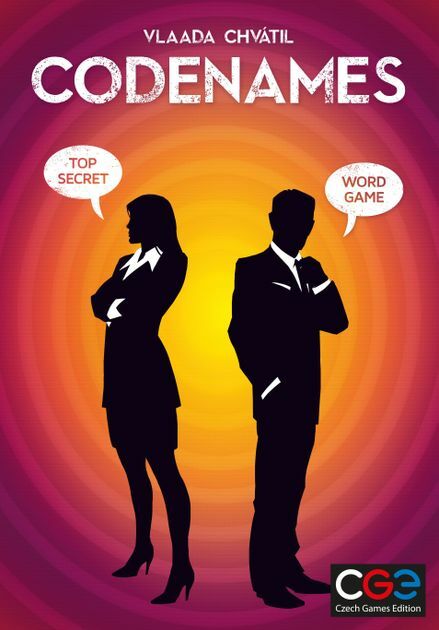 In Codenames, two spymasters offer clues to their teammates in hopes that they can correctly guess the identities of their secret agents without letting things slip to the opposing team. It’s almost like a very precarious game of pictionary or charades, but only using words. This kind of communication challenge makes it the perfect social board game for a night with friends. John Le Carre’s spy novels are a natural accompaniment to the game—his classic Tinker, Tailor, Soldier, Spy follows British intelligence agent George Smiley in a web of international espionage during the height of the Cold War. On the cozier side of things, Louise Penny’s Three Pines mysteries feature a townful of enigmatic, sometimes suspicious characters to analyze while resident inspector Gamache works through various cases. The board games collection can be found in the library atrium; you can also browse it through our catalog here. Don’t worry, the books’ feelings won’t be hurt. -Eli Hoelscher is a Reader Services Assistant at Lawrence Public Library.